You need to log in or register to access up to 20 searches per week, and get detailed results. Looks like you've used up your 20 searches for the week. Try again at a later date. Sorry, we are unable to retrieve any prices at the moment. Try again later. Looks like you’ve used up your 20 searches this week. Try again at a later date. Sorry – unless you log in, you just get one search today. Looks like you've used up your directions for the week. Try again at a later date. *Savings are based on filling up an average 50 litre tank, using prices from stations in your results. Opening hours may vary on bank holidays & weekends. 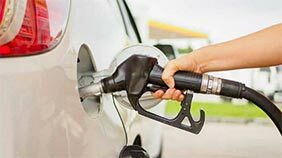 24 hour stations include those with ‘pay at pump’ facility. T&Cs apply. Scottish postcode exceptions apply. Offer ends 31st May 2019 Find out more. Just tap in a postcode, and you'll see local petrol stations and their fuel prices. You can search for regular & premium unleaded and diesel, LPG and LRP. You can also expand the radius of your search to 25 miles. We'll show you fuel prices and how much you could save on filling your tank, and also tell you the stations' opening hours. Plus it's free and easy to use! 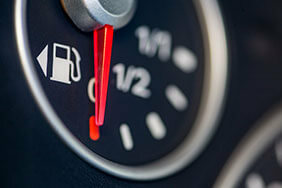 *We have prices for 7,074 out of 8,496 petrol stations in the UK. Pop in your registration and find out the value of your car! Great deals on home, roadside recovery and European cover. Enter a car, van or bike reg plate to see a vehicle's hidden past.